Here is another black and white doe for sale. I say black and white but her coat has a golden tint to it. 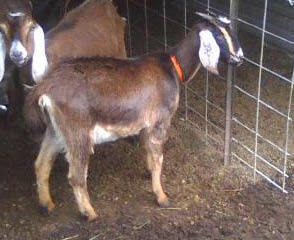 This little darlin’ is about 18 months old and ready to breed. Her exact birthday is on her papers but I’m guessing here.